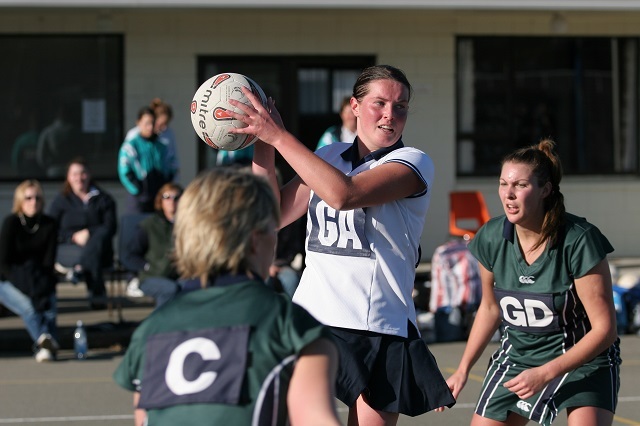 Every weekend, all around the country, Netball courts can be seen packed full of players, families and fans cheering on and participating in their local teams. As one of the most popular team sports in Australia, Netball is fast paced, high intensity and involves rapid changes of motion, jumping and of course landing. For what was traditionally a non-contact sport, the game manages to provide a high risk of injuries, especially in the legs, knees and ankles due to it’s jolting nature of high speed bursts, sudden stopping and, well, contact with other players. How serious can netball injuries be? According to Sport Medicine Australia, in 2002-2003 alone, 1,129 people were admitted to hospitals across Australia for netball-related injuries with 2,316 visiting Victorian emergency departments for netball-related injuries in 2002-2004. Knee injuries are some of the most severe injuries associated with netball, often requiring extended periods of rehabilitation and recovery. Most injuries sustained are small sprains and strains, but of course there are often more serious injuries such as fractures, which can put you out of the game for months, if not years. So how do you reduce your chance of a netball injury? There are many approaches to reducing the impact of netball on your body, from the way you warm up to taping and even improving your coordination, which might sound weird but it’s really a thing! Many injuries are the results of an awkward trip, twist, fall or movement. You might be wondering what on earth can be done to improve your coordination on the netball court, but as they say “practice makes perfect” and if you can learn how to make smoother, more efficient movements, and train yourself to stop with less impact, you are going to have less chance of an injury. The knee is one of those body parts that takes a lot of battering, especially on the Netball court. It tends to suffer more from injury than any other part of the body, with injuries coming from a wide variety of causes and displaying a wide variety of symptoms. If you have suffered one of these netball knee injuries, your local physiotherapist will be able to provide you with the appropriate treatment plan. Ankle injuries are also a common for netballers, ranging from a minor sprain such as a rolled ankle only requiring a week off training and a few physiotherapist visits to a severe injury such as a fracture that may put you out for 6-10 weeks and require months of rehabilitation exercises. Your physio will show you the exercises you need to strengthen the damaged muscles and ligaments while they are repairing. If you have suffered one of these netball ankle injuries, your local physiotherapist will be able to provide you with the appropriate treatment plan. While there is no fool proof way to prevent injury while playing netball, using common sense is the first step to minimising your risk. If you’ve been out of the game for a while or haven’t done any training or exercise in the off season, you’re likely to put your body under stress if you leap right into a competitive match. Preparing your body is crucial, and we’ve outlined some tips to help give yourself a safe, happy netball season! It’s important to follow the R.I.C.E methodology when treating mild to medium injuries such as sprained ankles or knees. For more serious injuries, consult a healthcare professional immediately. Make sure you rest your injured limb to prevent further damage by keeping weight off of it. Using ice helps to reduce swelling and ease the pain. It should be done within 48 hours of an injury and never leave ice on for longer than 15 minutes to 20 minutes at a time. Make sure not to place ice, ice packs (or the frozen peas) directly onto the skin, put a tea towel or thin cloth to prevent skin damage. Wrapping the injured knee or ankle with a bandage or compression wrap can help keep it supported and helps to control swelling. Be sure not to wrap it too tightly. If your toes turn blue, get cold, numb or tingly the wrap is too tight. Elevating the injured leg will reduce swelling and pain. Below we’ve outlined some of the ways that you can prevent or minimize the severity of netball injuries, but remember it’s always wise to see a physio as soon as you can after getting an injury to speed up your recovery and get you back on the court! As mentioned above, make sure you prepare for your match by building up your training and fitness in the weeks and months prior to playing. Participate in core strength and flexibility exercise programs such as Clinical Exercise and yoga to increase your flexibility and stability on the court. Work on your coordination and train your body in specific netball movements and exercises to increase your durability. Ensure you speak to your sports doctor, club health professional or physiotherapist about any slight aches and pains you have incase it is the beginning of something more serious. Consider taping to support your knees and ankles from abnormal movement. You can ask your physio for advice and a taping demonstration unique to your body's needs. Train your netball muscles! Learn programs and netball drills that work on specific exercises to develop strength, agility and flexibility around the knees and ankles. Use dynamic warmups before matches & training rather than static stretching to ensure the body limber and prepared. Warm down and stretch or use a foam roller after training or playing netball. 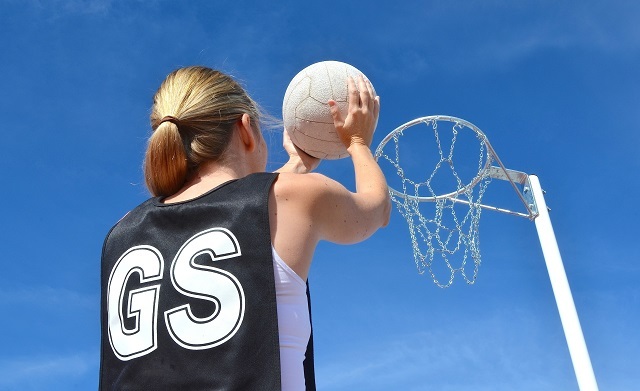 Netball is a fun and engaging team sport, but with a high risk of knee or ankle injury. To avoid netball injuries this winter, take on board our tips to preventing hurting yourself whilst on the netball court this season! If you have suffered a netball injury and need assistance in a professional treatment plan to get you back on your feet sooner - book a Free Initial Assessment at your local Back In Motion practice and they’ll be more than happy to help.